Recently, I met my neighbors to the west of the Earthship and got permission to hike on their land. I’ve been heading into unexplored territory on my daily hikes, and have been rewarded with all kinds of new desert treasures. Yesterday, I took a bit of a somber hike with my neighbor Bruce, whose old dog Taka I found dead in an arroyo over the weekend. Taka disappeared on Thanksgiving. She was 16 years old and nearly blind, but somehow she made it over 10 miles of rugged terrain before she laid down and died in this quiet place. Dogs are amazing. 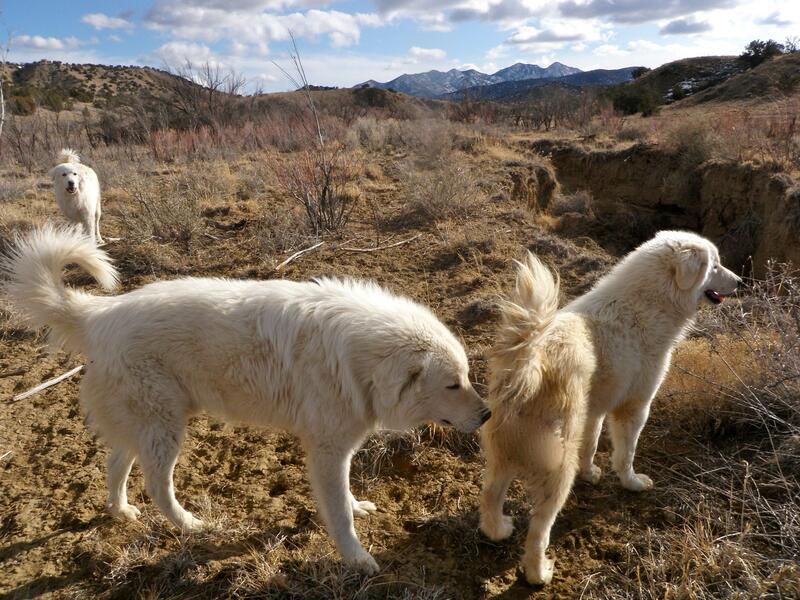 As I was leading Bruce to Taka, we were spotted by the six Great Pyrenees dogs that guard the neighborhood herd of goats from coyotes and three of them came over to check us out. What beautiful dogs! Pyrenees are guard dogs, not attack dogs. They’re meant to see and be seen by coyotes. These barked at us ferociously from a distance, but were not threatening when they approached. I didn’t have any of my dogs with me, but they’ve met before. 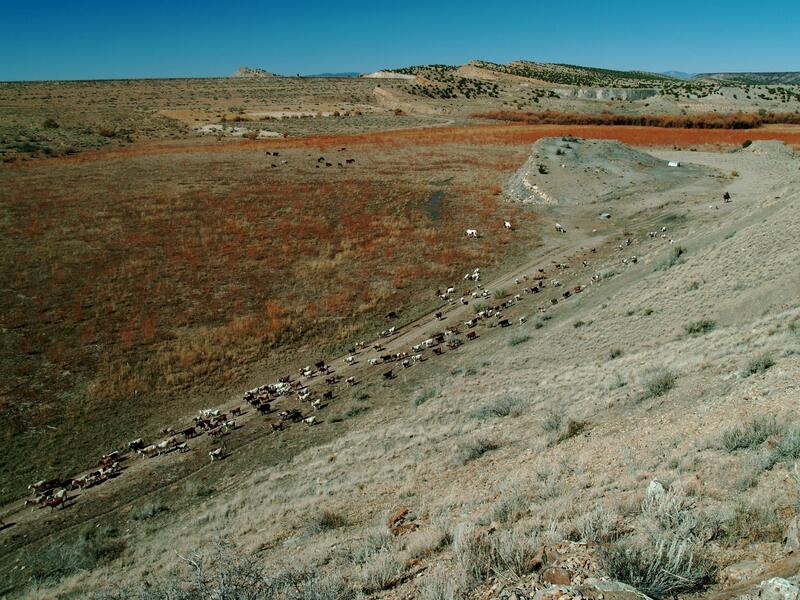 One of these days, I’m going to hike over a hill and find myself in the midst of that goat herd. That’ll be interesting. I can’t wait to take photos!